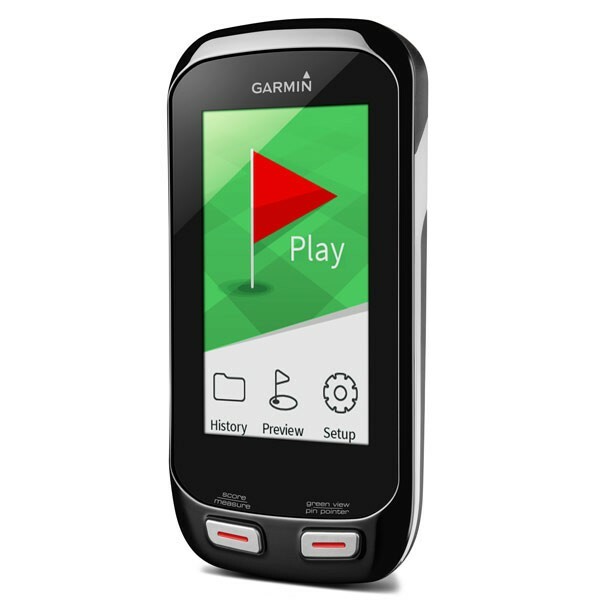 Preloaded with over 38,000 worldwide course this is the "Next Generation" in Golf GPS from the world leader Garmin Golf. The sleek, lightweight and durable Approach G8, with a 3” multi-touch color display, is our most feature-packed handheld. Automatic Wi-Fi® course updates; no fees or subscriptions. Despite its slim profile, the Approach G8 debuts a substantial range of features to help you take on any course. PlaysLike Distance gives golfers distances to the target, adjusted for uphill or downhill shots. Smart Notification lets you receive emails, texts and alerts right on your handheld, even if you’re in the middle of the fairway. G8 receives the wireless signal from your iPhone® 4s or later, let’s you know you have a message, and displays the full text on its own screen whenever you’re ready to read it. Club Advice remembers how far you hit each club and makes a recommendation based on shot distance. PinPointer lets you know which way to the pin even if you are in the woods or deep in a trap. For easier viewing, Big Numbers Mode increases the font size of the front, back and center distances. And Wi-Fi lets you connect to the golf community within Garmin Connect and update courses automatically. Approach G8 doubles as a digital scorecard for your foursome with scoring options for Stroke Play, Stableford, Skins and Match Play with adjustable handicaps. Colorful layup arcs at 100, 150, 200 and even 250 metres let you know exactly how far you need to hit when laying up. Touch Targeting lets you touch any point on the sunlight-readable display, and it shows the precise distance to that exact spot — fairway, hazard, landing area, or the front, middle and back of the green. Enhanced stats keeps track of fairways hit, greens in regulation and putts per round. Check your stats during the round, or download and print them from your computer afterwards. Zero in on the pin with Green View. Just tap the flag on the map to zoom in on the green — then you can drag the flag to position it where you see it, giving you more accurate metreage. 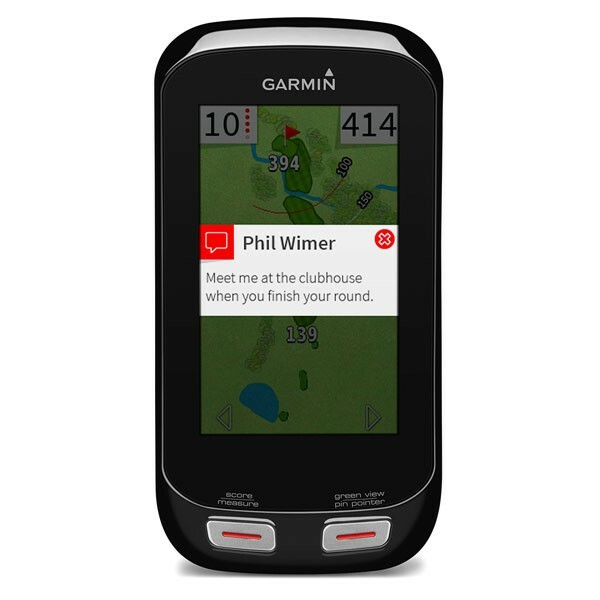 Garmin Connect includes an online golf community that lets you play, then share and compare. Download your round and contrast it to your last round, track improvements to your handicap for every course you play. 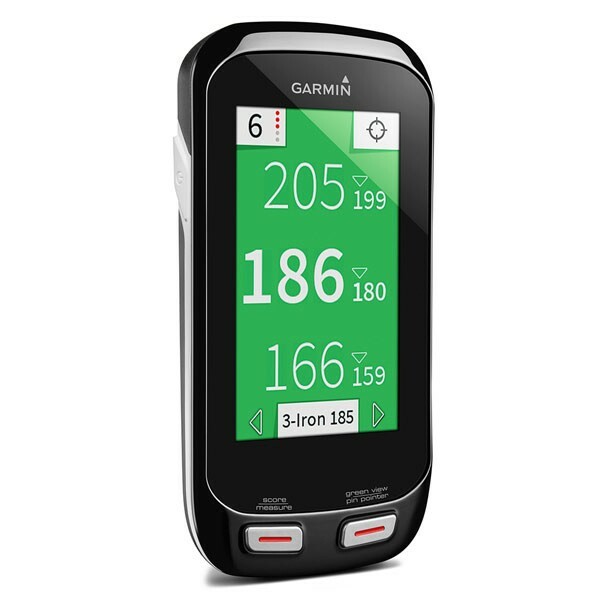 The Garmin Connect golf community can even assemble your ideal round, combining your best score for each hole to get your ideal 18 for that course.